Make Canada Immigration Process From India Easier! In the crucial matter of overseas movement, perhaps, there is no better country than the Maple Leaf Country. Well, here one is referring to Canada. Yes, no other country can possibly beat this amazing immigration hotspot, located in the north of the US! The highly beautiful and picture-perfect country is one of those nations that consider immigrants as its valuable assets. And, when the immigration process of Canada is compared by other developed nations, it is found that it is more flexible and transparent, and also an easier destination for Indian immigrants to immigrate. But before you know about the Canada Immigration Process from India are you sure the country is really perfect for you? It is no secret that a large number of Indians immigrate to Canada every year for one purpose or another. The country has a high quality lifestyle, and is far better when compared to most of the nations across the globe. Of course, India has its own charm and plus points. Coming back to the topic of Canada immigration, in a way, it is the highest incentive for the Indian immigrants. The country is 100% liberal and multi-cultural, and favoritism or prejudice on any basis is not tolerated by the government and is subject to strong legal action. Besides, becoming a Canadian resident is relatively easier. At the same time, the same provides ample of rewarding employment opportunities– especially to the trained and experienced professionals cutting across different fields. Both India and Canada have political and cultural differences as well as some similarities. Before you actually immigrate and/or makes concrete plans to move out, you must be aware of what you might have to experience in the future that too in a foreign country. If you are sure of your action and know what you want, all you have to do is to decide if you want to obtain Permanent Residency (PR) status in the country, or just want to spend a short period of time there in. Once you are sure of the type of permit you really want to obtain, get in touch with the Canadian High Commission/Embassy based in New Delhi–the metropolitan capital city of India. Obtain the form for the desired category, self-assess your credentials, and then fill the form, in neat hand writing. Strictly avoid making any spelling mistakes, or stating any false information. Also, make sure that all supporting documents are attached and you successful meet the criteria, including fluency in English language. You can also self assess your credentials online–that too at no costs. Once you are certain of your application form, you have a choice of sending the petition through courier, or you can personally submit the submission on any working day within working hours. From time to time, you can easily check the status of your application online. Please note: eligible criteria for each category varies, and these may require a different procedure to follow. Amendment in the immigration process may not be made with a prior notice, and supporting any application with false documents and information may terminate your application permanently, and you may be subject to legal action. Get Canada Visa Assistance, Guidance from Experts! 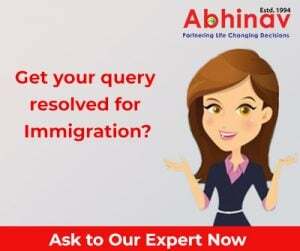 If you are looking for an easy route to follow, then you can take the help of professional immigration experts. For a nominal fee, they might help you live your immigration dreams successfully, and also successfully sail through the Canada immigration process from India quite easily. They are usually the proven masters in their domain and the immigration process is virtually on their tips. They double review your application form increasing the success rate, and give you a formal training while appearing for face to face interaction, or for any other required test, like; for instance, the TOEFEL. Get Professional Help from Expert Consultants for Australia Permanent Visa!